The initial excitement about 3D Printing plastics has definitely cooled off but we might be on the verge of being able to similarly leverage the strength and durability of metal, thanks to HP's new Metal Jet printers. The company has just announced its new metal 3D printers, which it claims will accelerate 4th industrial revolution. HP bolstered its announcement by sharing a list of high-profile customers such as Volkswagen, GKN and Wilo, who have been attracted enough to employ the new technology. "We are in the midst of a digital industrial revolution that is transforming the $12 trillion manufacturing industry. HP has helped lead this transformation by pioneering the 3D mass production of plastic parts and we are now doubling down with HP Metal Jet, a breakthrough metals 3D printing technology," said Dion Weisler, CEO and President, HP Inc. Weisler added that there would be huge auto, industrial, and medical sector implications thanks to the speed, quality, and economics of Metal Jet output. HP describes the new Metal Jet as relying on "groundbreaking, voxel-level binder jetting technology". The printers can output in sizes up to 430 x 320 x 200mm. Importantly this 3D printing solution offers up to 50x productivity, and greater reliability, at a low acquisition and operational cost compared to other metals 3D printing solutions. We hear that, for speed, the Metal Jet is equipped with 4x the nozzle redundancy and 2x the printbars of its competitors. Printer output will consist of stainless steel finished parts that meet or exceed various ASTM and MPIF standards. The HP Metal Jet works at a very high resolution, as you can probably tell from the photos of the output. It smallest printing particle measures 20x20x50 microns. After printing the unused metal powder is taken away for reuse and the part undergoes a heating process to fuse into a solid durable component. 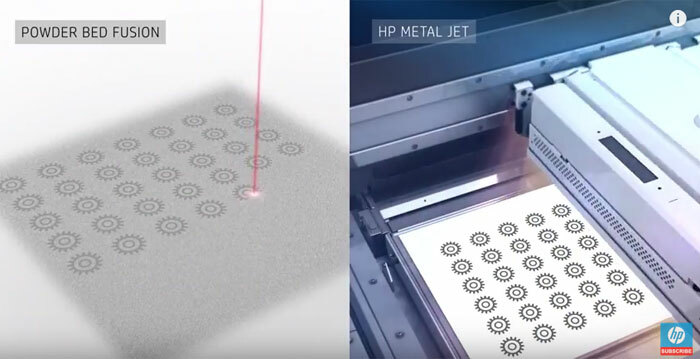 You might be surprised at a largescale manufacturer such as VW being interested in HP's Metal Jet 3D printer. 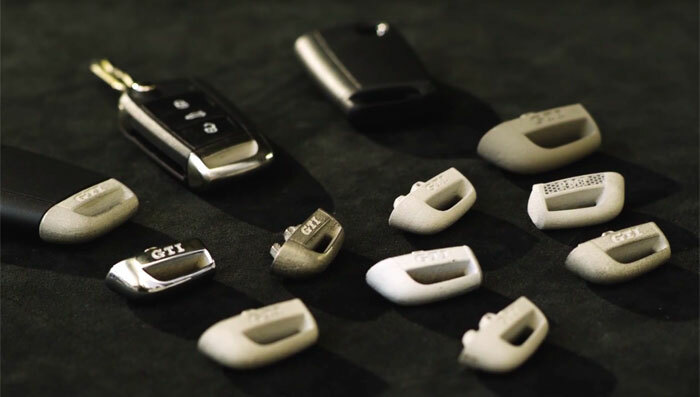 However, the firm says that as many customers expect personalisation, the tech allows it to produce many of these parts without first having to build manufacturing tools. This reduces cycle time for part production and allows VW to reach a higher volume of mass production very quickly. Starting in H1 next year customers will be able to upload 3D design files and receive industrial-grade parts in large quantities from the new Metal Jet Production Service. HP partners GKN Powder Metallurgy (Industrial) and Parmatech (Medical) will provide quantities of high quality finished parts. If you have a business and want your own HP Metal Jet, commercial solutions based upon this printer will be available under $399,000 and begin shipping in 2020. Pre-orders have already opened.